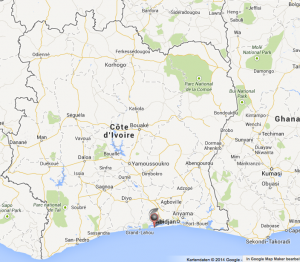 Addah is a coastal town and community in Ivory Coast. Its population is about 1’500 habitants. 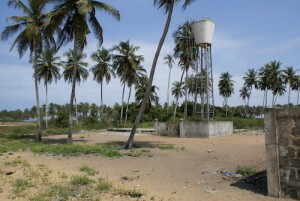 In Ivory Coast, the access to clean water is pretty well organized and for about 80% of the population drinking water is available. In distant villages, drinking water still remains difficult to access and help is needed to ensure health. NVTerra S.A. together with Swissbluetechbridge, local authorities and organizations supports a project in Addah in order to purify water from a well close to the village. The project started in end 2013 and after the design and administration phase, the first machine was installed in the 2nd half of 2014. In February 2016, the tap-water production started. The machine was fully operational and now provides 100m3 per day. 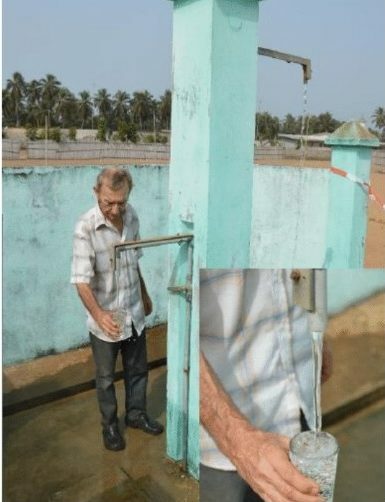 In the picture, the water is taken from one of the Addah hydrants supplied with drinking water produced by the NVAqua Z-100 unit.